We heard about crazy sale on Everbuying shop. 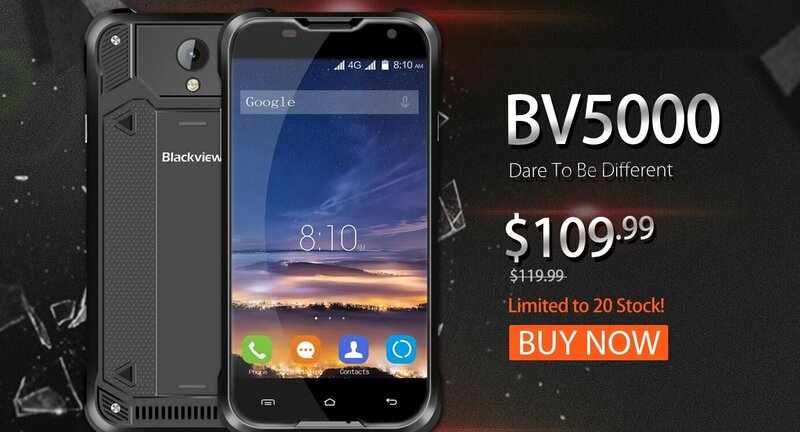 In this sale they have three interesting smartphones, where is certainly the most interesting Blackview BV2000S with price only 39.99$! Let’s say a few words about Blackview BV2000S, for us this is very interesting smartphone because it has incredible low price only 39.99$, and if you will be interested to buy it you can do that at this site. For that money you get a smartphone with a 5 inch HD display, and runs on popular MediaTek MT6580 4-core processor with speed 1.3 GHz. it has 1GB of RAM and 8 GB of internal memory expandable via microSD card up to 32 GB. Blackview BV2000S has two cameras of 2 MP and 5 MP. As we said earlier you can buy it at Everbuying shop. Quantities are limited to 50 pieces. 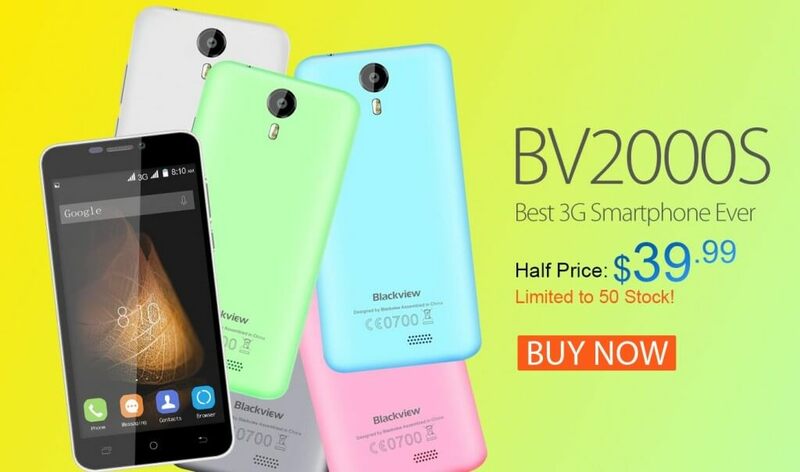 Second model is Blackview BV5000, the sale has already begin and only a few pieces has left so hurry up. This smartphone is is completely protected from harmful dust and it is also protected from immersion in water with a depth of more than 1 meter. The screen is 5 inch with HD resolution and it has 64 bit quad core CPU. For more information and if you are interested to buy it you can do that at this link. And the third smartphone in the sale is Blackview BV2000 who also has 5-inch HD display with a resolution of 1280 x 720 pixels. The processor is a 4-core MediaTek MTK6735 with 1.0 GHz speed with Mali-T720 GPU, runs on Android 5.0 Lollipop operating system and has 1 GB of RAM and 8 GB of internal memory. This smartphone also you can buy at promotional price for only $59.99 at the site. And last but not less important smartphone is Blackview Omega Pro which is obviously their flagship phone. It has powerful hardware like Octa Core CPU and 3 GB of RAM. It has 5 inch HD screen with Gorilla glass protection and beautiful design. 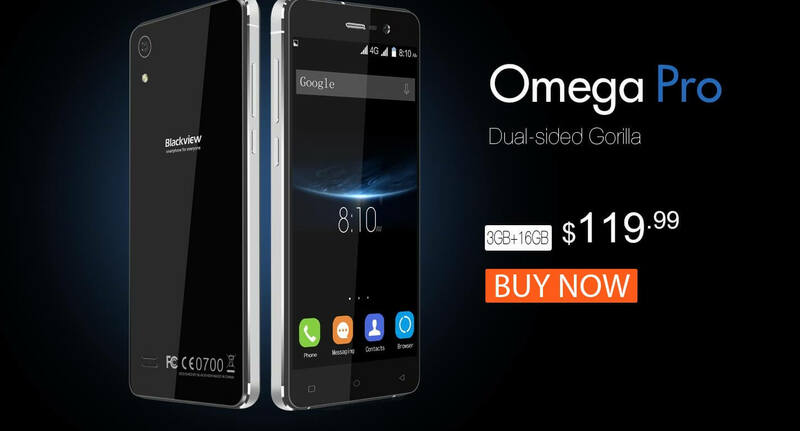 The sale price on Everbuying for this phone is now 119.99$ and you can buy it here. Previous articleOppo SuperVOOC charging technology will charge your smartphone for 10 minutes!